Honda Cars Philippines, Inc (HCPI) is holding the Honda Auto Expo display at Ayala Malls Trinoma this September 21-27, 2018. The expo features Honda’s sporty and advanced line-up with the Honda City Sport, the BR-V Touring, the Civic RS, and the CR-V 7-Seater Diesel Turbo SUV. Customers may also ask about our other Exclusive Deals for this month, as they can take home a sporty new Honda with the amazing deals and special offers available as well as special prizes and treats await our lucky inquiring customers. 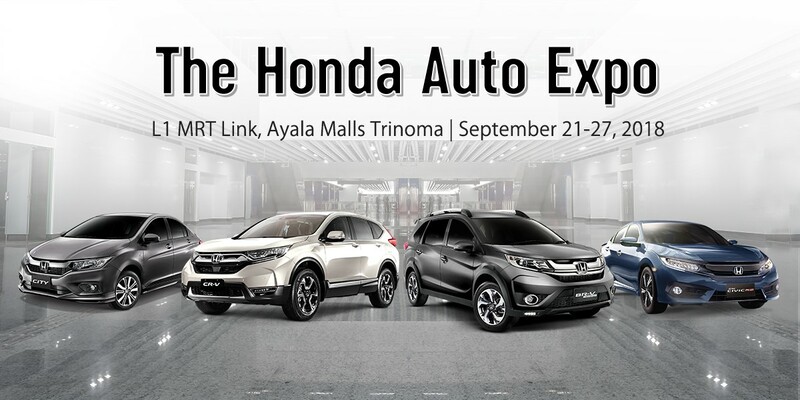 To learn more about these exciting deals, come and visit Honda’s Auto Expo display or any Honda Car Dealerships nationwide until September 30, 2018.